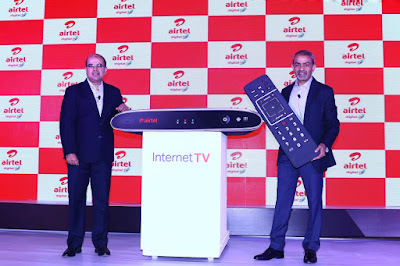 Airtel, today launched ‘Internet TV’ – India’s first hybrid STB, powered by Android TV, which brings the best of online content to the TV screen along with a bouquet of over 500 plus satellite TV channels. This marks yet another industry first from Airtel that has been at the forefront of innovation in the DTH category. 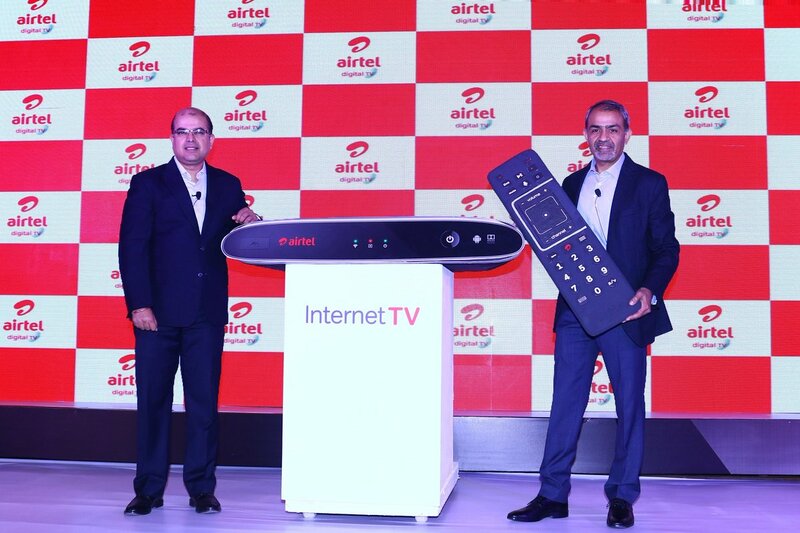 Airtel ‘Internet TV’ comes with inbuilt-Wi-Fi receiver, BBluetooth-based remote control and is integrated with Google voice search feature. Customers can discover their favourite content by simply telling the remote and choose from a variety of content sources. Gaming enthusiasts can make the most of the Internet TV with the best of gaming apps for an experience that is truly larger than life. Gamers can use physical game controllers, or even their smartphones as a gamepad with Internet TV. Airtel ‘Internet TV’ is priced at Rs. 4999- with 3 months Digital TV subscription. Also, as limited period offer customers can pay Rs. 7999/- and get the Airtel Internet TV with one-year subscription. Airtel ‘Internet TV’ will be available exclusively on Amazon India starting April 12, 2017. It will be available via Airtel Digital TV touch points – retail stores/website/contact centers soon after online launch. Airtel has also rolled out bundled offers for its home broadband customers. ‘Internet TV’ Customers just need to register for myHOME on MyAirtel app and can avail upto 25GB additional data on their Airtel broadband account every month. Existing Airtel digital TV users can give a missed call at 8800488001 to know about the exciting offers available.